Who are the top Indian Industrialist billionaires? 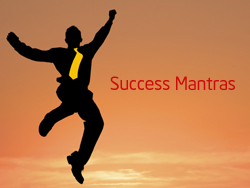 What are their success mantras and how it can be useful to me? Can I become billionaire Entrepreneur or Industrialist? If you are looking for answer of these questions you are at right place in this article we will share list of Top Indian Industrialist and their success mantras. We have number of Indian Industrialist who is billionaire but our list will focus only on industrialist who are self made or in other words industrialist who has become billionaire from scratch. At Top we have ever green Dhirubhai Ambani Indian Business Tycoon and founder of Reliance group of Industries. He created history starting from scratch he built empire worth $6.1 billon. Steel Man Lakshmi Mittal is one of the richest men in the world according to Forbs ranking. His company Arcelor mittal is largest steel producer in world. Azim Premji IT Man is the CEO of WIPRO, one of the largest software companies in India. According to Forbes he was the richest man in the country from 1999 to 2005. Narayan Murthi is founder of Infosys. He started Infosys with initial capital of US$250 in 1981. He converted Infosys from local company to global multinational. Today Infosys is number one IT company of India. Shiv Nadar is an Indian industrialist and philanthropist. He is the founder and chairman of HCL.HCL is global multinational company in IT space. The industrialists mentioned above are billionaire today, but they were not born that way most of them were grown in middle class family. They started small and grown up slowly. They never give up that’s why they are billionaire industrialist, they teach us that success doesn’t happen overnight it is process and it takes time. Success mantra for you is start small and never giveup. Point here is if you want to be successful as entrepreneurs don’t diversify too much stay focus on one field. Success mantra given by this industrialist is you must have clear mission for your business. Why you want to start business? Why do you want to become entrepreneur? Strong mission was driving force behind their success. If you want to find success as an industrialist or a business owner; then you must have a strong business mission. Efficiency & productivity is synonyms of success. These industrialists have made constant effort to enhance their efficiency and productivity. They were instrumental not only to enhance efficiency and productivity of their employees but also for process. Success mantra here is be efficient and remain productive. All these industrialists are visionary leaders. They have clear vision and plan to reach their. Success mantra here is believe in your dream and make plan to reach their. At last I would like to say that you can replicate success mantra given here and become successful industrialist.